If you are fond of pasta and love to try out homemade recipes, aren’t you more likely to go for a pasta strainer that your favorite chef recommends on Instagram? Aren’t we all more likely to end up buying that customized golf tee set that our favorite sports blogger swears by, rather than choose one randomly on the Internet? That’s exactly how influencer marketing works. Popular people on the Internet are just the ones to approach if you want better visibility and credibility points for your business. That is simply because influencers are people with authority on the web and can shape buying habits to a great extent. Influencer marketing is a real thing, and this post will tell you how and where to find the best influencers for your industry. If you provide online tutorials and assignment help services, looking for influencers in the travel domain will do you no good at all. Knowing where and how to look for influencers in your industry is the key, and the process is fairly simple. All you have to do is keep the following three steps in mind, and you will be well on your way towards getting your strategy for finding influencers on point. This one is the most obvious step, of course. The more you connect and engage, the bigger your network becomes. You can choose from a considerable number of influencers online when the time arrives for you to use them to endorse your product or services. Finding them online is not hard, as will be explained in the latter part of this post. Once you identify the key players in your industry, send an email or reply to their Tweets to initiate a partnership. Knowing which influencer to engage with is the key when it comes to being a digital marketing expert. I have encountered plenty of clients looking for influencers in all the wrong places, mostly because they lose track of the three important aspects or vital stats, as I like to call them when picking influencers. See if the content aligns with your industry. Do not go for far stretches. Stick only to those that are directly relevant to your business. Gardening tips have got little to do with men’s grooming products, so make sure you filter the content as per the relevance with your business. Engagement remains the primary determining factor when it comes to influencers and their posts. Keep an eye out on the number of social shares, and audience interaction. Digital marketers place a high value on those who manage a high number of social shares along with a considerable amount of audience interaction stats. Finally, the virtual domain is all about patting on the back when you receive one. Take Instagram’s #followforfollow technique as an example. Simply put, whenever an influencer does something for you, it is understood that you will be returning the virtual favor. It can range from retweeting their popular posts to just a heartfelt note of gratitude as part of your Instagram Story. Ensuring that their efforts are acknowledged and met with the right kind of response is thus one of the important things you must keep in mind when venturing into influencer marketing waters. Finding influencers on the Internet nowadays extends beyond social media and public relations activities. If you want your business to take advantage of influencer marketing, you should master the tricks of finding them using the digital tools at your disposal. Since influencers have the power to shape the perceptions as well as buying habits, finding the right ones for your industry can help take your business to newer heights. Apart from content amplification and endorsing your products or services online, influencers help provide relevant context and credibility to your brand as well. Here are a few digital tools that can help you identify and reach out to some of the notable influencers in your industry. Some of these also assist in filtering, engaging, monitoring, reporting, and managing the influencers list for your business needs. Linkdex is essentially an SEO tool that combines social, search, PR and content channels for marketers. Driven towards organic sales and content creation, Linkdex is a treasure trove for leading marketers of current times with content analysis and planning tools. With Linkdex, you get all the data regarding site crawls, social share counts, backlinks, ranking and multi-channel stats as per your requirements, right at your fingertips. If you are looking to integrate your PR channels into content marketing streams, matching steps with the multivarious marketing mix of current times, then Linkdex is a great place to start looking for those influencers who can add value to your business. One of the best premium tools online that use an influence graph, Peerindex is a popular platform to find who the right people who can take your business a few strides forward. You can search Peerindex by topics, and find influencers relevant to your keywords or interest area. Digital marketing experts swear by Peerindex for its fabulous customizable features. Peerindex also lets you in on data such as audience insights, influencer research and tracking systems, social analytics and reporting, and alerts from specific keywords or topics as per your customizations. Followerwonk has a specialized focus on Twitter analytics. A free tool for modern-day marketers, followerwonk gets to the bottom of research and analytics using data-driven search features. A social authority filter lets you choose the right influencers for your business, and you can also save reports and analysis for future uses. Competitive comparisons and data tracking are also some of the dynamic features offered by followerwonk, and data visualizations come as part of the package with this tool. BuzzSumo reigns supreme for all keyword in digital marketing. A dynamic tool is a modern-day content marketer’s best friend, and BuzzSumo offers plenty of features that help you to not only track but also to predict the effects of the same on your business. Searching by a topic or keywords, and you will find insightful reports of social media shares, trending topics, relevant content, as well as a list of influencers in the domain. It uses data from Twitter to measure influencer engagement and reach. Converting all reports to .xls or .cvs format is also pretty easy when you are using BuzzSumo. Kred lets you look for and identify – yeah, you got it – the credibility of influencers in your industry. It will help you prioritize and engage influencers on a large-scale. The rewards service connects marketers directly to influencers and provides them with audience engagement analysis, email marketing reports, and influencer leaderboards. Content marketers can take their pick from the vast array of influencers that Kred accumulates using social media engagement and relevance rating for each influencer. A good Kred score goes a long way to show the potential of the influencer you are targeting, so make sure that you go for the ones who have a higher score. Traackr says what Traackr does. It is an influencer and marketing building platform. It helps you know who the main influencers in your industry and shows you the best ways that you can connect with them. Traackr has an inbuilt search engine and lets you discover social insights about their specific posts as well. Other features that Traackr offers in influencer tracking are the display of profiles, sentiment analysis, dynamic listing, shares of voice reporting, and trending content. Traackr is one of the go-to tools for modern-day PR and marketing professionals. Marshall Kirkpatrick’s brainchild, Little Bird, is a paid tool that blends influencer tracking with Twitter peer reviews. Emerging as well as trending topics on Twitter and influencer content on the same are analyzed closely by Little Bird. As a result of this insightful analysis, you get a streamlined list of influencers in your industry. Little Bird also supports content marketing and competitive intelligence oriented research in your industry and provides reports that target your sales and promotions pitch for the days ahead. Keyhole is fun to use and is an excellent hashtag tracking tool. You can find relevant content as well as influencers who use them. Any post that uses a hashtag crops up on Keyhole, and you can filter the same using trending ones for your business. All forms of content, right from comment threads, conversations, top content to influencers, all fall under the purview of the hashtag search on Keyhole. In fact, this tool can come in handy for purposes more than one when you are out on influencer hunt for your business. Some of the paid tool features of Keyhole include Audience Intelligence and Newsroom Intelligence. For better insights, you can use the copy to clipboard feature for later reference on Keyhole too. Whether you provide financial consultancy solutions or have an online store for reused furniture, knowing who the influencers in your industry are can be crucial to your marketing game. Starting off an influencer search may seem daunting at first, but if you go by the methods discussed in this post, you will find navigating your way towards success to be a lot smoother. 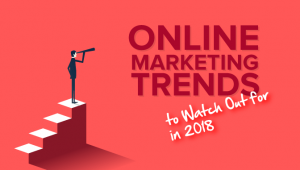 Use the methods suggested above, and take help of influencer tracking tools that contribute to your digital marketing strategy for the years ahead. Look for the special ones in your niche and engage with them to take your business to newer heights today! Good luck with your future endeavors!